Lets face it no matter how hard we try it really is impossible to surpass a whole chilly Winter without ever wearing a bulky knit. The challenge lies in wearing them correctly. In all honesty even the slimmest person ever can end up looking like a Michelin Man if wearing their bulky knit wrongly. Whilst certain sweater styles such as the slim turtleneck are inherently flattering chunkier styles can be less so because of the excess fabric. 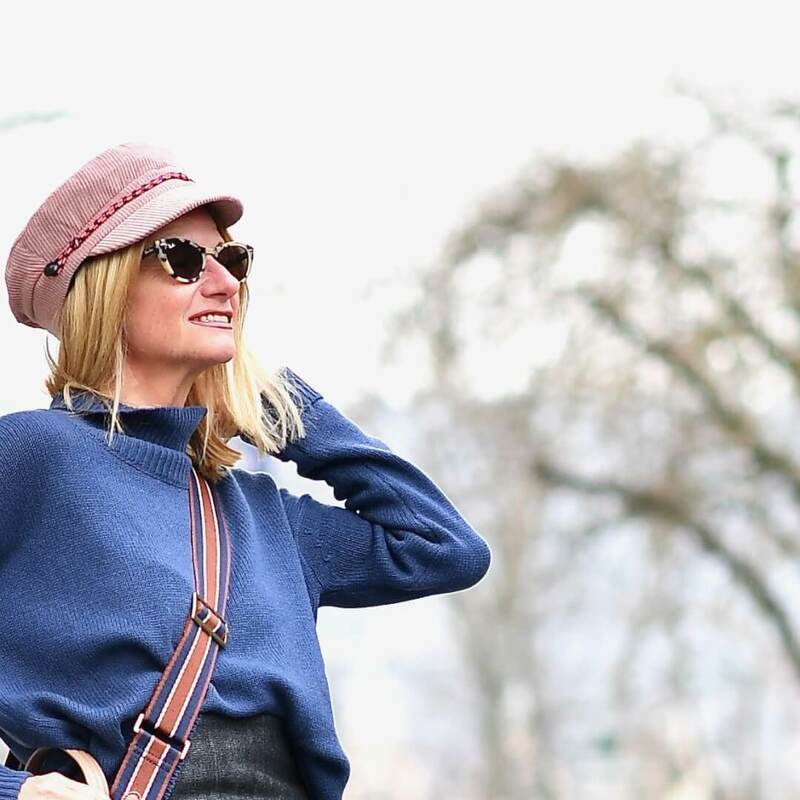 There is however one simple styling trick that can only be done successfully with a chunky knit and can make any frame look even slimmer than it is. Sounds too good to be true? Keep reading to find out how to look slim wearing a bulky sweater. A super easy trick to try out for yourself. All you need to do is tuck your sweater in a little at the front and then leave the sides and back out. The excess sweater on the sides will give your total look a more slimming appearance. Alternatively you could also just do the half tuck trick on one side. This is such an easy trick. Try it out on bulky t-shirts in Summer or any other bulky top. Wishing you all a slimming snug sweater day! I tried it! It worked! Haha, great tip! The tucking in trick is the perfect trick for petites too, since it will not only make you look slimmer, also taller! Funny that you post this now. I did the half tuck trick with a floaty summer top only yesterday! Haha, that is funny…and did you feel it worked? xoxox Have a great weekend – so wish I could beam over to the beach!! !